View our Quick Tutorial Videos (3 - 5 mins each). For some of our commonly asked questions with using the Toolkit™, take a look through the link below. FinaMetrica mapping links risk tolerance scores to portfolios enabling an apples-to-apples comparison between risk tolerance and portfolio risk. Advisors are able to select a portfolio that is consistent with their client's risk tolerance which can then be tested against the client's financial goals and risk capacity so as to arrive at a suitable recommendation. Our Risk and Return reports provide clients with plain-English details of their risk and return expectations based on their answers to the risk tolerance profile. They link analysis of our risk tolerance profile database to 40 plus years of month-by-month back-testing of historical portfolio performance. At a glance, you can show clients how representative sample portfolios would have performed against their risk and return expectations. View full sample profiles and a case study using the FinaMetrica risk tolerance profile. Our Technical Manual, Certification and Due Diligence Checklist are designed to help you conduct due diligence on any risk tolerance profile in the market, including ours, we've completed one for FinaMetrica at the end of the checklist for you. Descriptions of the seven and five risk groups. A pdf file for clients who do not want to use the Web-based version. Designed to help clients of advisors understand why they are taking the risk tolerance profile and promote credibility and best practice in your planning process. Why Take the FinaMetrica Risk Tolerance Profile? There are other toolkits out there giving away tests that claim to measure risk tolerance. Most of them exist to sell a particular product or service, not to give an accurate risk tolerance score. Others use generic life-stages instead of individual profiles. So while there are other toolkits out there, if you want to give the best advice it’s worth using the only Toolkit that’s been developed independently and tested more than one million times. The FinaMetrica Risk Tolerance Toolkit™ takes only 15 minutes to complete. The Toolkit gives you an insight into your clients individual risk tolerance, allowing you to provide stronger advice that is tailored specifically to their personal expectations. So when you break it down, those 15 minutes give you another chance to demonstrate your commitment to potential clients, while having the added benefit of revealing those who are only there for some quick, one-off advice. Is it easy to integrate? We have built the Toolkit to integrate seamlessly with any platform you might be using. Our dedicated IT team will manage the implementation and get your integration up and running fast. In fact, we set up the FinaMetrica Risk Tolerance Toolkit™ for the New York Times in just three days. Will a risk tolerance profile change over time? Let’s do some myth-busting. We’ve been able to demonstrate that an individual’s tolerance for risk generally doesn’t change over time, even if they’ve just experienced a win or a loss, or even a major recession. In fact, FinaMetrica Risk Tolerance Profiling has the highest consistency of any Toolkit in the measure of risk tolerance through all market conditions. So, although the market may change frequently, your client’s profile won’t. How will existing clients react? We’ve found that getting existing clients to complete the profile will allow you to gain a deeper trust with existing clients. Revisiting their financial portfolio and tweaking it to better suit them shows them just how dedicated you are in making sure your advice is perfect for them. The FinaMetrica Risk Tolerance Toolkit™ enables you to have these important conversations with your clients and demonstrate your extra value. It all adds up to increased client lifetime value, higher retention rates and more referrals from all of your raving clients. The FinaMetrica Risk Tolerance Toolkit™ meets the regulations and compliance frameworks of the 20 countries in which it’s used. And because of our global span we’ve been able to set the global standard for risk tolerance compliance. Our FinaMetrica Due Diligence Checklist™ answers all of your compliance questions across 10 key areas, keeping clients happy and you out of court (where litigation costs are from $50,000 and upwards). This means the hard work of compliance has been done for you so you can focus your time and money on what truly matters — giving better advice to your clients. You can subscribe via credit card at our subscription page or contact us for other payment methods. For multi-advisor firm subscriptions, please click here. You can register for a no obligation 30 day free account with full system access and support here. Invite your clients, including couples, to do their risk tolerance test, compare their risk tolerance with their investment strategy and deepen your client engagement, retention and growth. How do I edit my account or change my password? Once you are logged into your account, click on “My Details” (click on the downward arrow next to your name, in the top right hand corner of the website). To change your password, click on the “Change Password” link and follow the prompts. You will be asked to enter your existing password for validation. To edit your details, simply overwrite the desired field and click on the “Save & Close” button once done. Please note that only advisors and administrators change their passwords. Clients, please contact your advisor if you wish to change your password. I didn't receive or I've lost my trial Username and Password. You should have received your Username in an e-mail from "client.registration@finametrica.com" when you signed up for a free trial, which also contains a link for you to set your own password. If you didn't see the e-mail, please check your "junk" mail folder as your mail filter may have treated our e-mail as "junk" or "spam". Alternatively, you may have accidentally deleted our e-mail or you may have entered an incorrect e-mail address when you registered or it may just be lost in the www. Please contact us to have your login details resent to you. If you are not seeing any error messages and the website simply refreshes, and you have to enter your username and password again, then the issue is the results of cookies being blocked. FinaMetrica requires cookies to be activated in order to work. Please ensure that you are allowing cookies from www.finametrica.com to pass through your browser and personal firewall software. Error message: The username and/or password entered is incorrect. Please try again. This is the most common problem our users face and is often caused by entering in the wrong details. The details are entered in the wrong case. All of our usernames and passwords are case –sensitive, please be aware of upper and lower case letters. A space or comma is entered instead of a full stop in the username. Our usernames typically have a full stop in them. The lower case “L” being mistaken for the number “1” and vice versa. Please double check you login details and try again. Perhaps you may like to copy and paste the details, taking extra care not to inadvertently copy an extra space at the beginning or end of your username or password. Copying and pasting an extra space at the beginning and/or end of your username or password. You can reset your password here. You will need to enter your username or registered email address. An email will be sent to you with a link to reset your password, please keep an eye out for it, particularly in the junk folder! If you are still having issues, please email us. We do not store credit card details of our subscribers; we send invoices which can be paid through a once-off credit card payment here. To renew your subscription using a credit card, please visit our renewal page. You will need to have your invoice number handy. If you do not have a renewal invoice number, or for other payment options, please email us at billing@finametrica.com. To register a new client, click on “Clients” on the left side menu, then click on “New Client”. In the top right corner, you can select “Single Client” for an individual, fill in the required details and click “Save & Close”. To register a couple, select “Couple”, fill in the required details for both partners and click “Save & Close”. How do I create a new questionnaire? a. Navigate to “Clients” view and locate one the client you want to create a new questionnaire for. b. Click on “Select”, located under the “Actions” column on the right hand side. This will activate a drop down menu, click on “New Questionnaire”. You’ll be presented with some options, including which version of the questionnaire and whether or not you want to send a notification email to the client. c. Select/check the sections you want to include, and then click “Select". To send a reminder, click on the icon next to the client’s name – this will expand their record – select “Resend Invite” under the actions column on the right hand side. To create a new questionnaire for an existing client, select “New Questionnaire” under the “Actions” column. Choose the appropriate options and click “Select”. How to complete test on behalf of clients. a. You first need register a new client: click on “Clients” on the left side menu, then click on “New Client”. In the top right corner, you can select “Single Client” for an individual, fill in the required details. So that you don’t confuse your client by sending them a password link, we suggest that you uncheck the Send Registration E-mail (Client) box. Click “Save & Close”. b. To input your client's responses, locate your client then click the expand button (+) shown before their name, then select “Complete” from the drop down list under the “Actions” column. How do I join and un-join clients? a. Navigate to “Clients” view and locate one of the clients you wish to join. Click on “Select”, located under the “Actions” column on the right hand side. b. This will activate a drop down menu, click on “Edit Client”. c. Towards the bottom of the page there is a drop down menu next to “Partner”. Here you will be able to select the other client that you wish to join. Make sure you click “Save and Close”. d. If you wish to unjoin clients navigate to “Edit Client” as per above for either of the joint clients. e. Click on “Edit”, located under the “Email” of the Partner and this will remove the joint partner. Make sure you click “Save and Close”. In the Clients view, check the box next to the name(s) of the client(s) you want to delete. Click on the “Delete” button on the bottom left hand corner of the page. 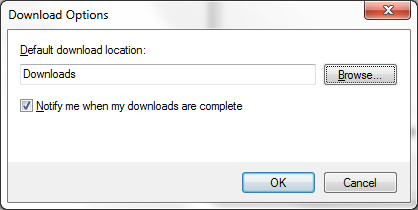 Confirm you want to proceed with the deletion, click “OK”. Note: this will also delete all of the questionnaires registered under that client(s). How to upload your profile picture and logo. To add your profile picture, click on “Upload Picture” next to "Profile Picture". You'll be prompted to browse for a picture on your computer; select the picture you want and click "Open". Once successfully uploaded, a preview of the picture will be shown in the yellow circle next to "Profile Picture". Click "Save & Close". To add your company logo, click on “Upload Picture” next to "Branding Image". You'll be prompted to browse for a picture on your computer; select the picture you want and click "Open". Once successfully uploaded, a preview of the picture will be shown in the yellow circle next to "Branding Image". Click "Save & Close". How to enter your own set of model portfolios. a. If you use a standard set of model portfolios, click on My Portfolios in the left menu. b. Click on the “Add New Portfolio Set” button. c. Enter a name for your portfolio set, click save. d. Click on “Add New Portfolio” button. e. Enter each portfolio’s name, its associated growth asset percentage and click save . You’ll be presented with the comfort zones for each portfolio and a Best Fit range. Can I customise the email that is sent to clients? You can customise the subject of the email as well as the introduction. The body of the email which contains login instructions for clients, cannot be changed. You can save your own subject line and introduction to the notification email, under “My Details” (click on the downward arrow next to your name, in the top right hand corner of the website). Note: the saved email subject and introduction will be used for all emails sent to clients, until it is overwritten. I can't see the accept button, after logging in. When a user has been logged out of our website, only the Print/Save option is available. Please check that the top right hand corner of the website to verify your status: “Login” indicates you have been logged out, but if you see your name displayed it means that you are logged in. If you are logged out, please log in again and you should be able to see the accept button. You may also like to try closing all open browser windows and open up a fresh window, this just purges all of the messy variables used in the background that can sometimes build up over prolonged browsing. The system records the Australian Eastern Standard Time (AEST) when the questionnaire was completed. Hence, at times there may be discrepancy in the date recorded and the date your client completes the questionnaire. This is commonly caused by your browser’s internet cache being too full and can be resolved by emptying your cache and restarting your browser. My client made a mistake answering a question in the risk questionnaire. The FinaMetrica questionnaire is designed to be answered by clients without the help of their adviser. This way we can stop advisers from un-intentionally affecting the answers. Having said that, there are some instances where during discussion clients may discover that their understanding of the question has changed. There are two approaches that the adviser can take: have the client complete a new questionnaire or make a note of the change in the report and accept the result as it is. It is important to note that the FinaMetrica system scores your clients risk tolerance based on all the answers to the 10/25 questions. No one question will dramatically affect the result. The first thing to do is check whether the change in the client’s understanding of the questions has a significant effect on the choices they've made. If the change is say from a choice one to a choice five, then you may choose to complete a new questionnaire with the revised choices. If the difference between the new choice and old choice is small then the Adviser can make a note of the change in the report and both client and adviser can sign off on the change accepting the risk tolerance score as it is. In most instances, one to two small changes does not significantly affect the overall scoring algorithm. In cases where there are more than two changes required, then we do recommend that the client complete a new questionnaire. Where is the pdf file saved? 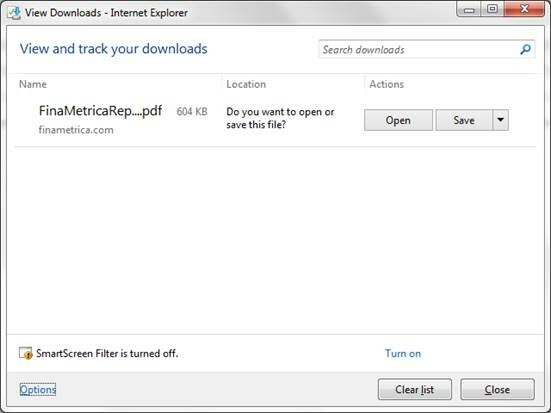 The PDF file is downloaded and saved according to the browser. 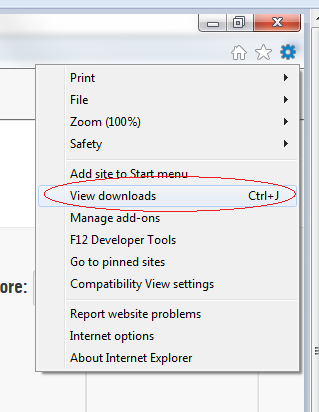 The steps should be similar for other Internet browsers - you just need to adjust the settings of each – but we’ve included steps for Internet Explorer 11 below. How do I print the report? Before you can print the report, you must first generate a pdf file (of the report). a. To do so, locate your client, then select “Latest Report” from the drop down list located under the “Actions” column. This will then display their latest completed questionnaire and report. Click on pdf symbol (looks like a piece of paper). You’ll have then be presented with the option to pick and choose what to include in the report such as the summary, the agreed score and file note, signature and footnotes. .
b. Select/check the sections you want to include, click “Save PDF”. How to add an Agreed Score/File Note. a. Select “Latest Report” (under “Actions”) for the required client. b. Next to the section “Agreed Score” you can overwrite the score in the textbox. Click “Save”. c. You’ll be prompted to enter any “File Notes”; enter notes as required. To access a Joint Report for a couple, select “Latest Report” next to the clients’ names, under the “Actions” column. The Gap Analysis is now part of the risk tolerance report. a. In the Clients view, locate the client you wish to view and select “Latest Report” under the “Actions” column. Scroll down to “Portfolio Gap Analysis” and click on the + button. b. You’ll need to enter an agreed score before using the Gap Analysis. Otherwise, the comfort zones will not be shown. For more information about the agreed risk tolerance score, please refer to our QuickStart Guide, pages 13 to 14.
c. The Gap Analysis page will show your client’s (and Partner’s) comfort zones based on their agreed score(s). d. You’ll be able to superimpose your client’s Current and Target portfolios on their comfort zones by moving the slider bars at the bottom right corner. e. If you have entered your own set of portfolios you can also superimpose your portfolios on your client’s comfort zones by checking the box next to each portfolios. f. Snapshots from our Risk and Return Guide for 11 sample portfolios ranging from 0% to 100% growth assets are shown below the comfort zones. The most relevant sample portfolios are highlighted for the current and target portfolios. At a glance, you can see comparable historical risk and return information for current and target portfolios. If you hover over the numbers, the full table will be shown. You can also download the full Risk and Return report for each portfolio by clicking on the percentages in the “% Growth Assets” row. Get to know our story and key personnel.